Baldwinsville Bees scores 4 goals in the third to win 5-0 over the Fayetteville-Manlius Hornets in a Section III Division I Boys Hockey Playoff game at the Lysander Ice Arena in Baldwinsville, New York on Thursday, February 18, 2016. 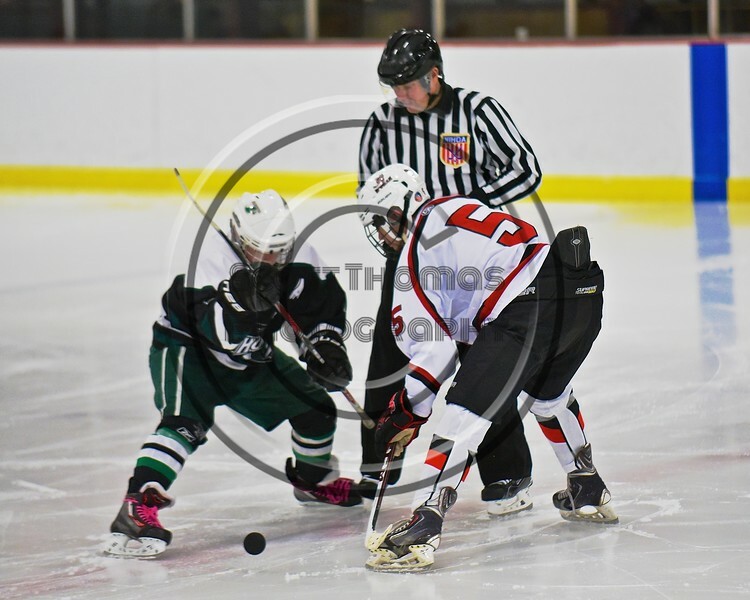 Baldwinsville Bees Isaiah Pompo (5) facing off with a Fayetteville-Manlius Hornets player to start the second period at the Lysander Ice Arena in a Section III Division I Boys Hockey Playoff game at Baldwinsville, New York on Thursday February 18, 2016. Baldwinsville won 5-0.